What is a Geo Redirect? In the world of digital marketing, new trends and technologies drive business. The technology you choose to use on your website will largely affect your ability to achieve company goals, so it’s crucial to familiarize yourself with the resources available to you as they appear. Geo Redirect is one of those resources, designed to help companies provide an even more personalized web page experience. Have you ever typed a URL into your browser and then realized the URL that loads happens to be different than what you actually entered? That quick “magic” is known as redirecting. Dive into this article to learn about URL and Geo Redirects and why businesses use them. 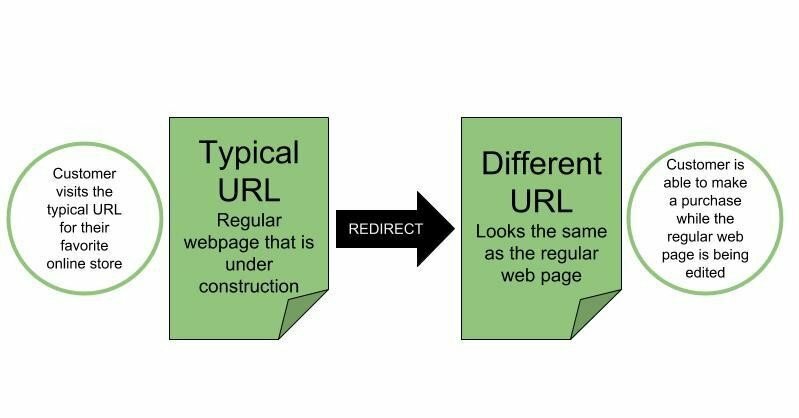 You have probably heard the term URL Redirect before, but if not, it’s basically a function that sends a user of one URL to another URL in order to direct traffic to specific information. Making sure your website visitors can always find the information they need — without having to input a new destination URL each time — is very important, and can increase conversion rates by improving user experience. Company name change: in this case someone might redirect the old URL to the company’s new page so old customers can still find them the same way. To track how visitors came to the site: for example, a company might be driving traffic to a single, marketing-focused landing page from several different sources (Facebook, Google Ads, etc.). In order to track sources and their respective metrics accurately, companies can use different URL parameters to differentiate between ad platforms in Analytics — but all traffic is redirected to the marketing-focused landing page, despite using different URLs. To update your site without interrupting your customers: in this example, a company might redirect their typical URL to a copy of the same web page so customers can continue to shop while the actual site is being renovated. So, What is a Geo Redirect? 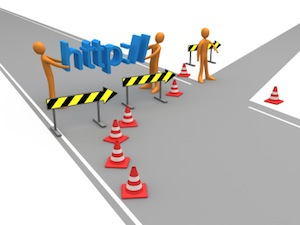 A URL Redirect sends all users to the same intended URL. A Geo Redirect, in comparison, will send users to different, alternative URLs based on the geological location of the user. Another name for this type of redirect is IP Redirect since the redirect that happens is based on the user’s IP address. There are many reasons a company might want to redirect people in a certain location to a new site, but, overall, it comes down to enhancing the experience the website visitors have while they are trying to find the information they need. At GeoFli, we’ve found that our customers with geo-targeted sites or URLs see a 25% increase in the time their visitors spend on their site and a 30% increase in conversion rates. Providing this personalized web experience for customers is key — the more pages an individual must visit to find desired information, the more likely they are to bounce and not achieve your goal. So why not cater their landing page experience? 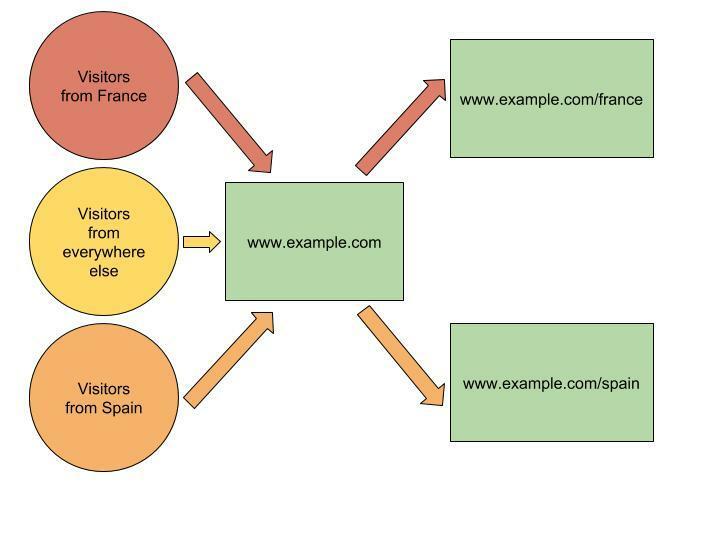 The image below is an example of what it might look like for a company to use a Geo Redirect. To dive deeper into the topic of Geo Redirects and view more examples of why a company might implement them check out another one of our blog posts, Geo Redirect Your Website. GeoFli is the best in the business when it comes to creating personalized content based on location — and increasing conversion rates in the process. Another great thing about GeoFli is our devoted customer service. We are a strong team comprised of uniquely skilled individuals, each willing to go the extra mile to help clients succeed. If the idea of redirecting your site to a new URL is a little overwhelming, just shoot us a message — we’re happy to help! Create a GeoFli account to start personalizing your site for free.